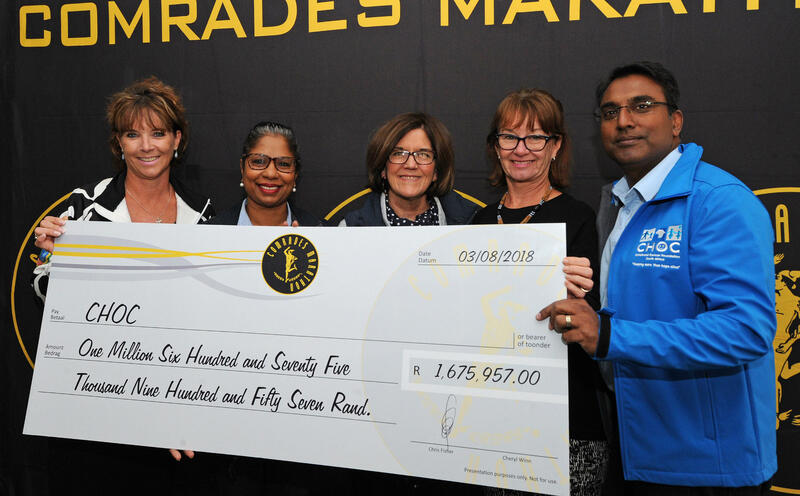 Durban - The Childhood Cancer Foundation of South Africa (CHOC) fundraisers The Cows are bringing down the curtain on a record breaking fundraising effort at the recent Comrades Marathon, and recognising the runners that helped push the total raised to R1,67 million. Capetonian Cow Axel Ritterhaus singlehandedly raised almost R80 000 for CHOC, with the top ten all managing to raise in excess of R20 000 each. While many are familiar local runners, it was the name of Australian athlete Darren Wood, who caught many by surprise. The contribution from his supporters in Australia turned his amount raised into a hefty sum when converted from Australian dollars to Rands, shooting him into the top ten of the overall charity fundraisers list, and inspiring him to continue his fundraising for the South African childhood cancer charity. "A friend of mine in Germany has a four year old son who has mouth cancer for the second time and I managed to raise AUS $36 500 just through work," Woods said, explaining how his support for childhood cancer charities started. 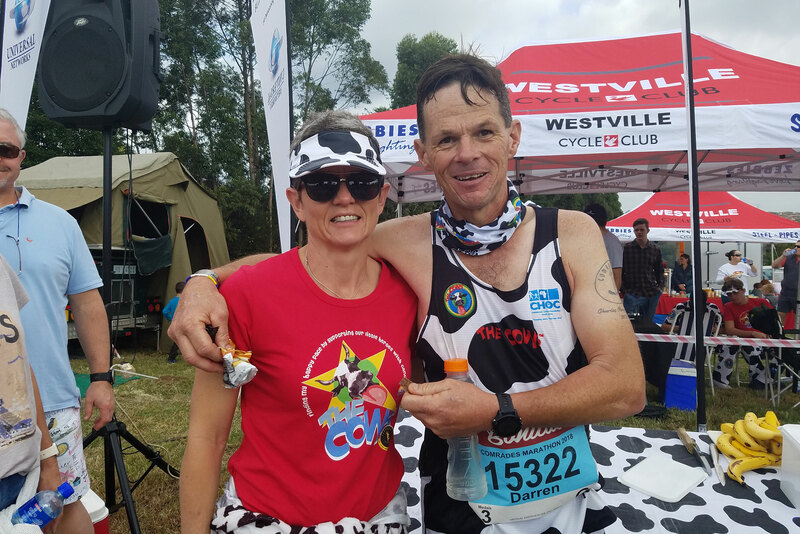 "At the Comrades the 'Durban Daisy' Iris Varty gave me a furry CHOC Cow suit which I wear while training for the upcoming Melbourne marathon, a race I will run in the suit. "I get so many toots from cars while running and people stop their cars to take a picture of the cow!" he added. 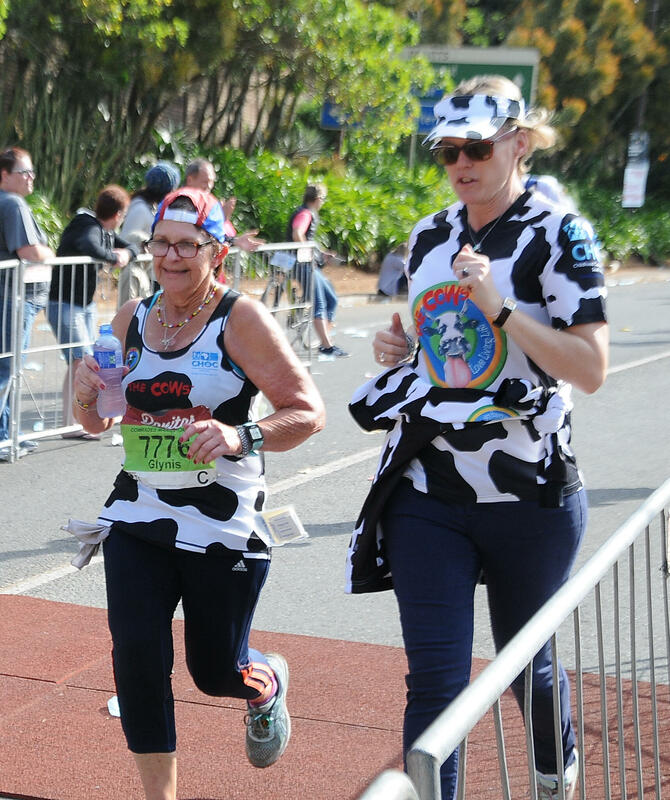 For another seasoned member of The Cows Glynis Mauldon, the 2018 Comrades was particularly special. She was running the ultra marathon in memory of John Stark, a veteran of 33 Comrades marathon, who passed away in February. "The support on the day was phenomenal and The Cows stand at Hillcrest rocked," said Mauldon, who flew back from England for the race. "Just getting there in time, I felt like I had won and then to have (The Cows founder) Kerrin (Bain) run with me for a short way was very special!" 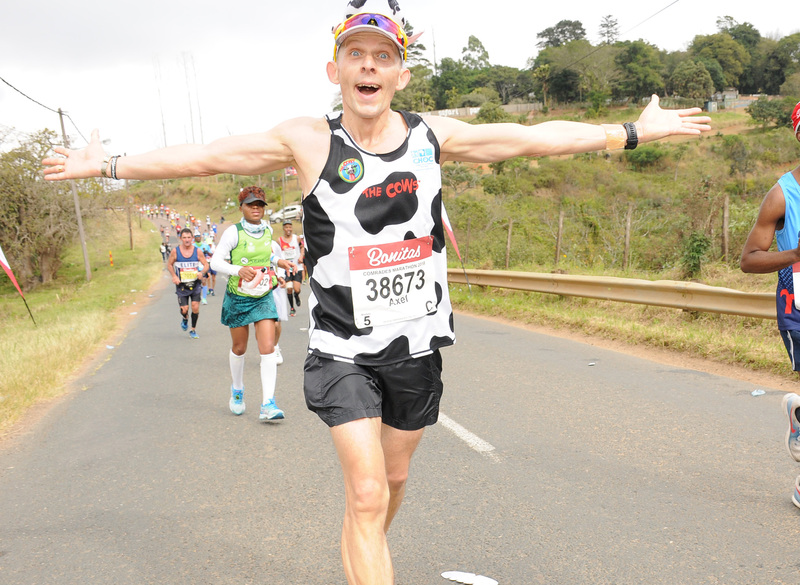 "I haven’t finished a “down run” since 2012 – funny enough I ran in Cow kit that year. Unfortunately in 2014 I missed cut off at 45th Cutting, " she recalls. "This year I hit a bad patch after Drummond and I knew I had lost too much time, so Plan B was make the cut offs, come hell or high water I was going to cross the finish line for the CHOC kids and for John. "I just kept repeating to myself “pain is temporary, quitting is forever”. I made 45th Cutting by a few minutes and knew I would have to run my heart out to do 9kms in just over an hour. "Sadly I got sick at Tollgate, felt awful and then it was walk and run to the finish. Passing Kingsmead in under 12hours was a tad hard, as it was for many others trying to make the 12 hour cut off. I soldiered on and fortunately was not pulled off the road and I was able to cross the finish mat in 12 hours and 25 minutes." "For me it was mission accomplished," She added. "I hadn’t bailed, I had finished for the kids, in memory of those now passed and for John. The records will show another DNF but I completed the distance. No regrets," said Mauldon.